Pigeon pose is a pose that I do every day. If you are someone who spends a lot of time sitting during the day, I would recommend that you do this pose daily as well! When we spend prolonged periods of time seated, our hips can become tight, and this can cause problems like low back pain, hip pain and sciatica. This pose can help us to counter these effects. 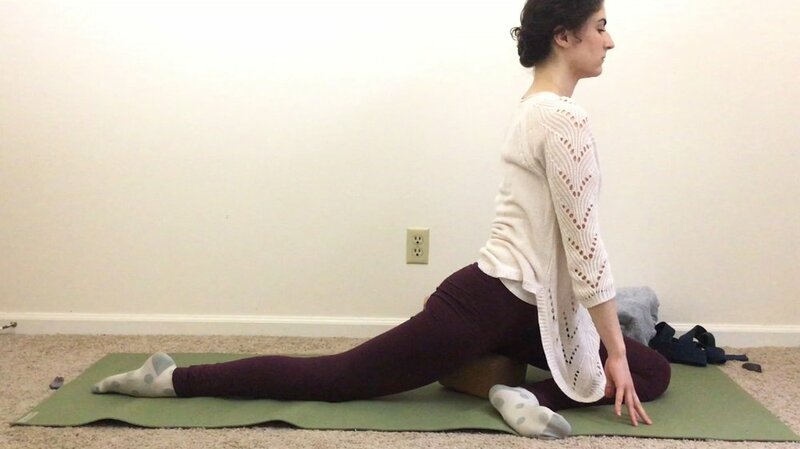 People seem to either love or hate pigeon pose, but I think that with proper support, we can all enjoy this hip opener. And there are lots of variations to choose from! Come onto your hands and knees (tabletop position). Bend your left knee and slide it up between your hands so that your left foot is in front of your right hip. Extend the right leg behind you and sink into your hips. Keep the hips even. If you notice that you're falling over to the left side, try one of the following modifications. You can stay upright, or you can deepen the stretch by walking the hands forward. Rest your forehead on top of your forearms (or use props). 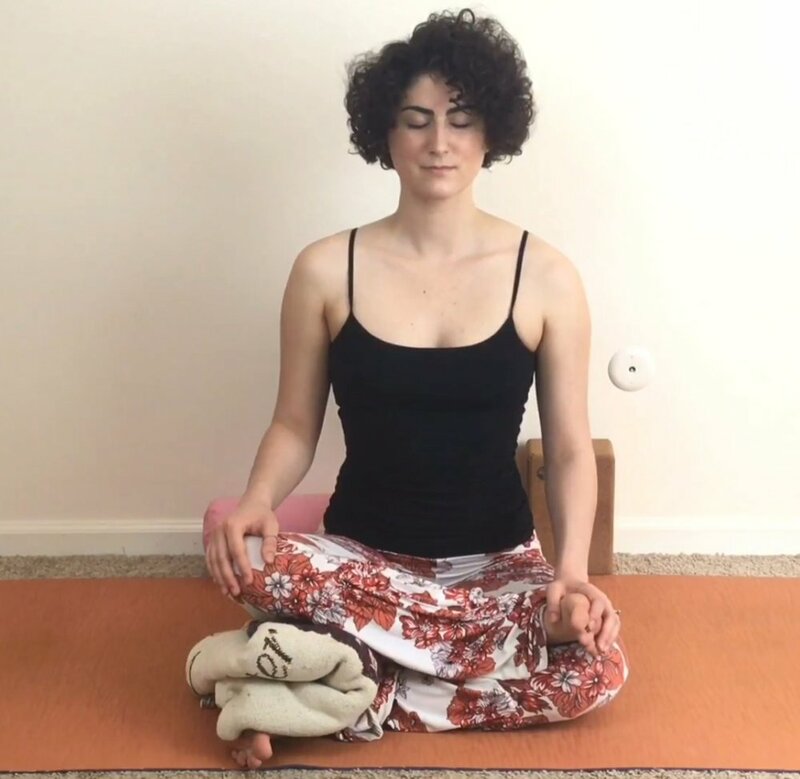 If you start to notice that your breath is restricted, this can be a sign that you've gone too deep into the pose. You may need to back up and try one of the modification options. This is the time to "play your edge." Finding the space in the pose where you're experiencing sensation and challenge, but you can still breathe comfortably. Hold this pose for ten deep breaths, then practice on the opposite side. Keep in mind that it is normal for one side to feel different than the other, so you may need to add props to one side when the other doesn't need any props. Listen to your body! The front knee can easily become aggravated in this pose when the hip doesn’t want to externally rotate open enough to accommodate the bend in the knee. This can happen simply because of the way a person’s hip joint is structured and isn’t necessarily a sign of inflexibility nor is it a sign that you should keep pushing. 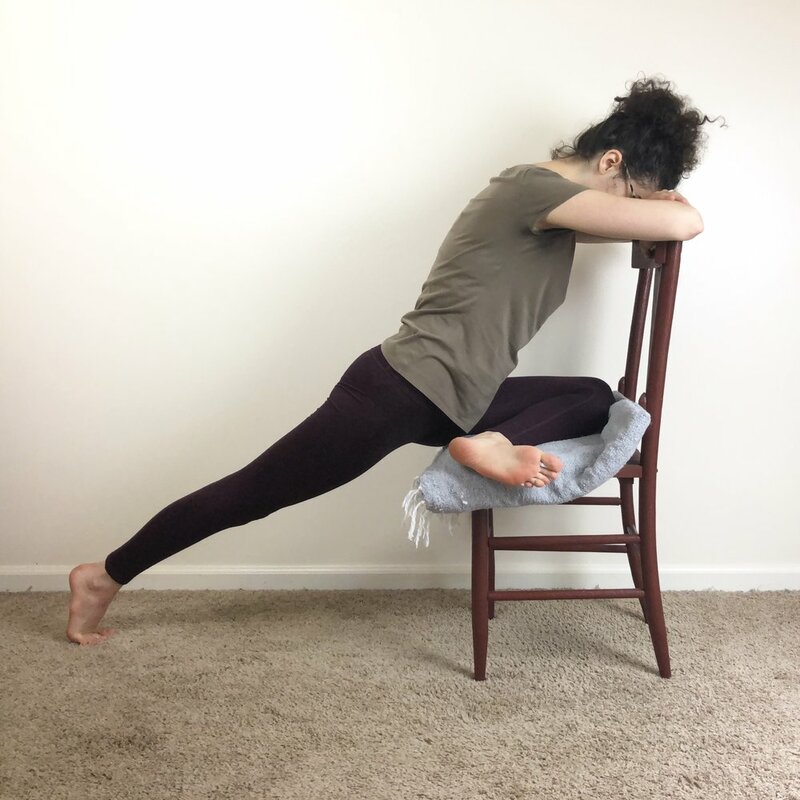 If you’re experiencing knee discomfort, please consider modifying this pose with props or trying one of the alternative poses. You’ll get the same benefits while keeping your knees happy. 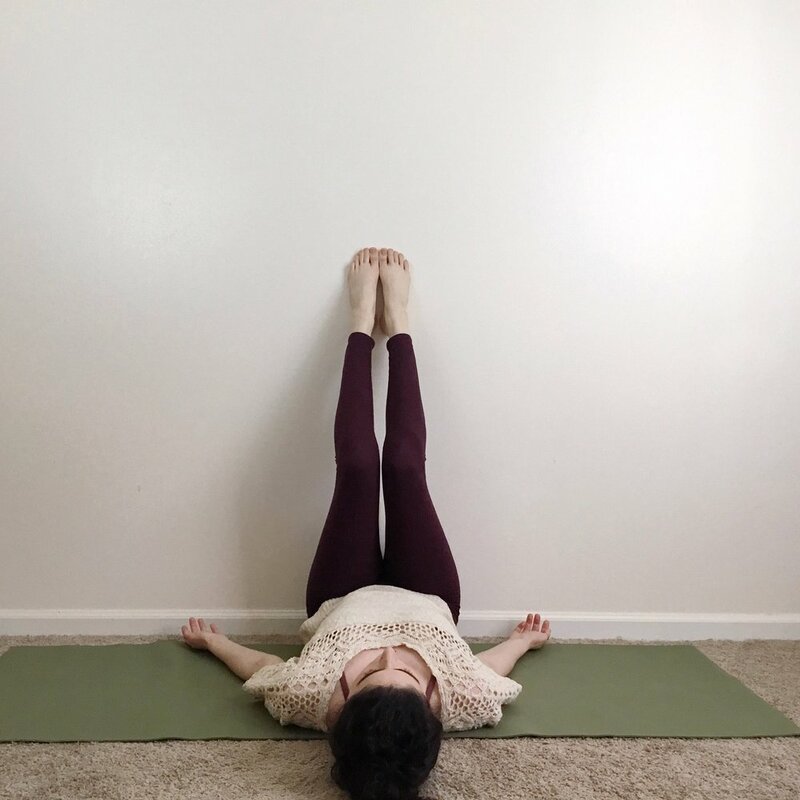 A common problem in pigeon pose is falling over toward one side. It's important to keep the hips even so that we're protecting the lower back in the stretch. 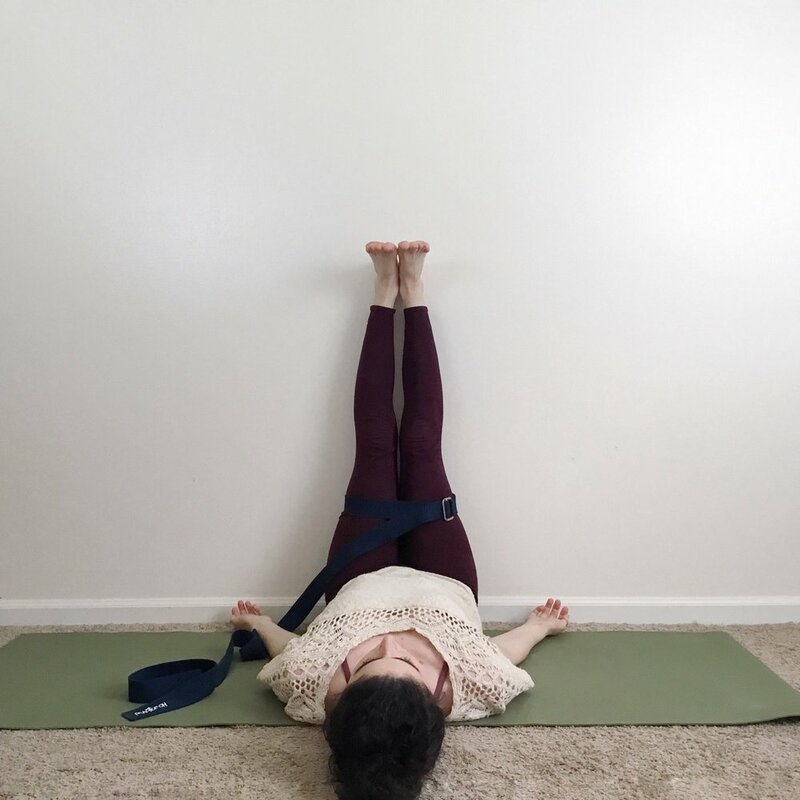 To help you keep your hips square, you can add a block or a folded blanket under the hip of the bent leg. For a restorative practice or evening practice, it's very soothing to be able to rest the head. For these kinds of practices, we don't want to overstretch the body. 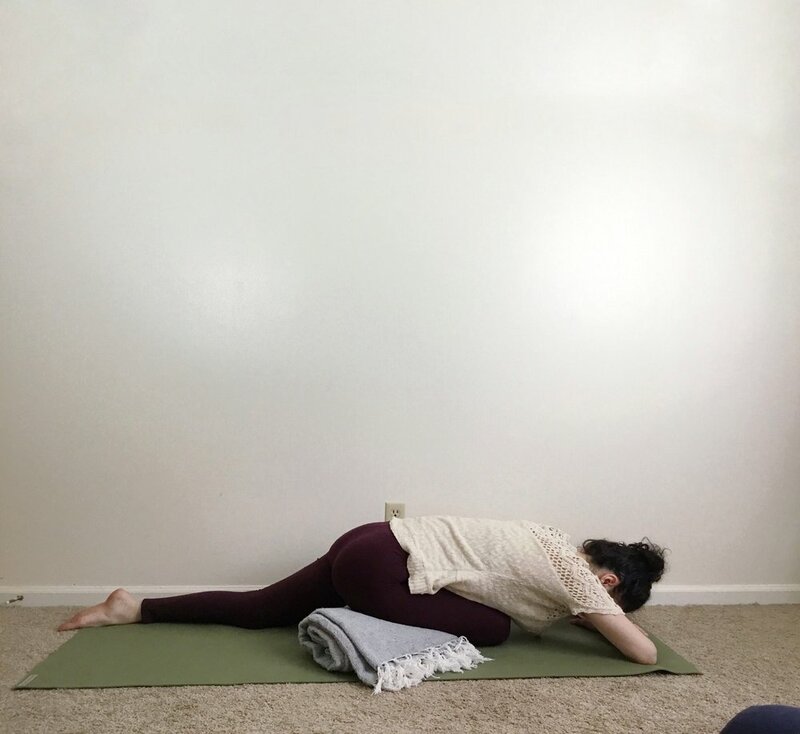 Adding a block under the forehead or a bolster under the upper body allows you to relax into the pose without experiencing excessive sensation in the hips. your chest. 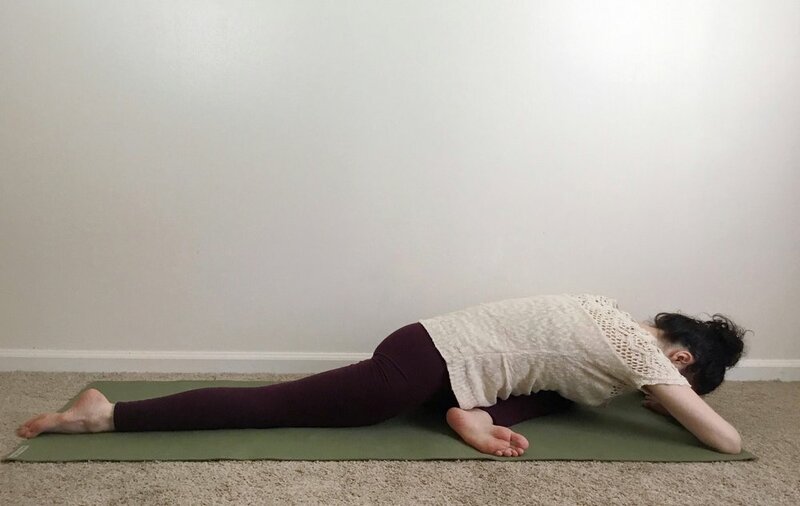 This option eliminates the hip flexor stretch and may be more comfortable for yogis with lower back pain. 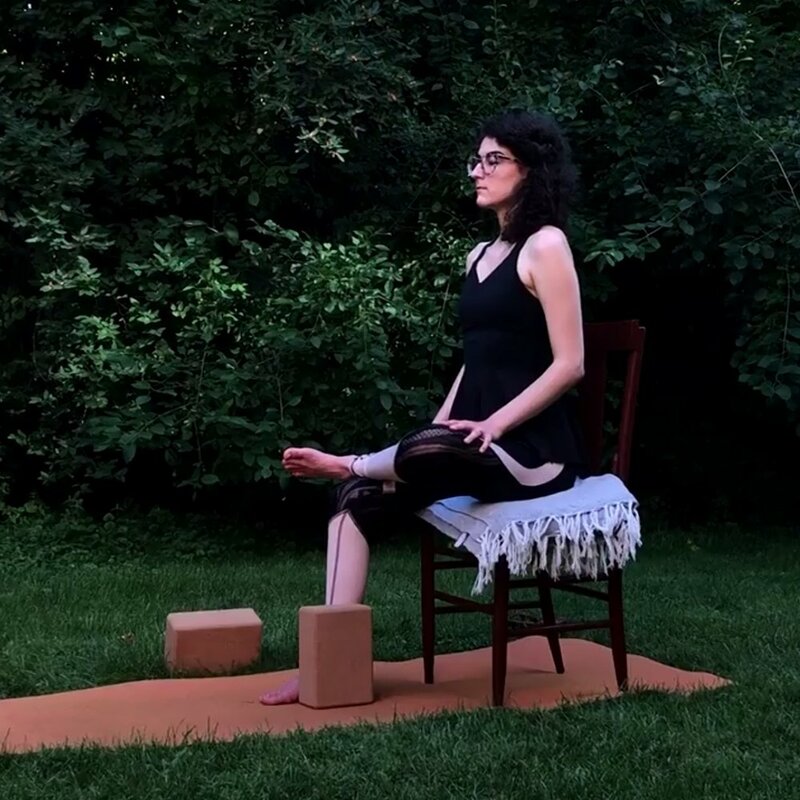 For this seated variation, you'll sit at the edge of your chair with the feet flat on the floor. Lift the left foot and place the outer edge of the foot on a block or you can cross the left ankle over the right knee. Keep the foot evenly flexed. 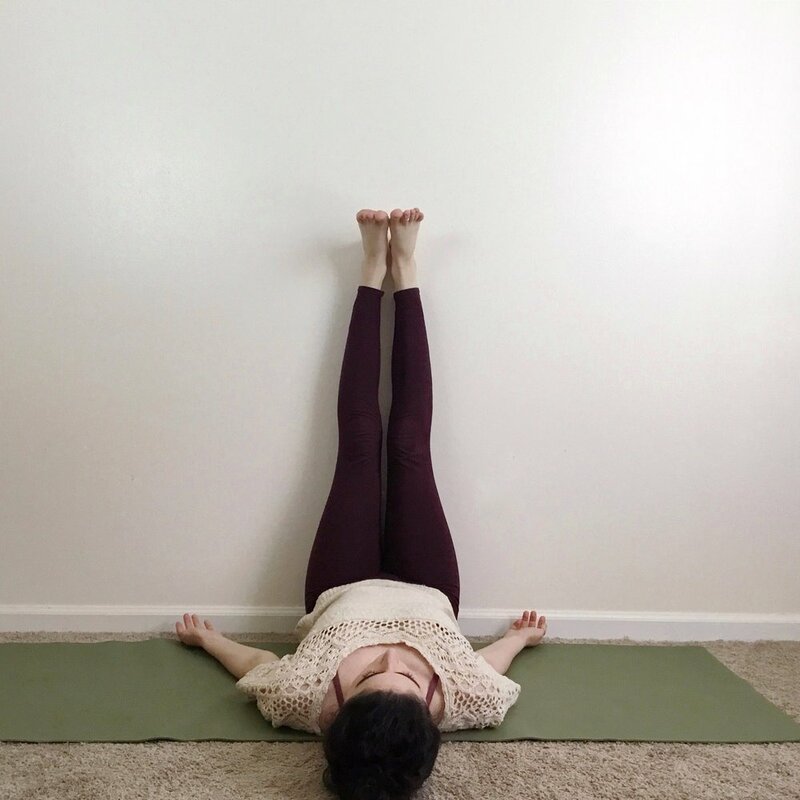 Hold for ten deep breaths, then practice on the opposite side. This is a great option if getting up and down from the floor is difficult. 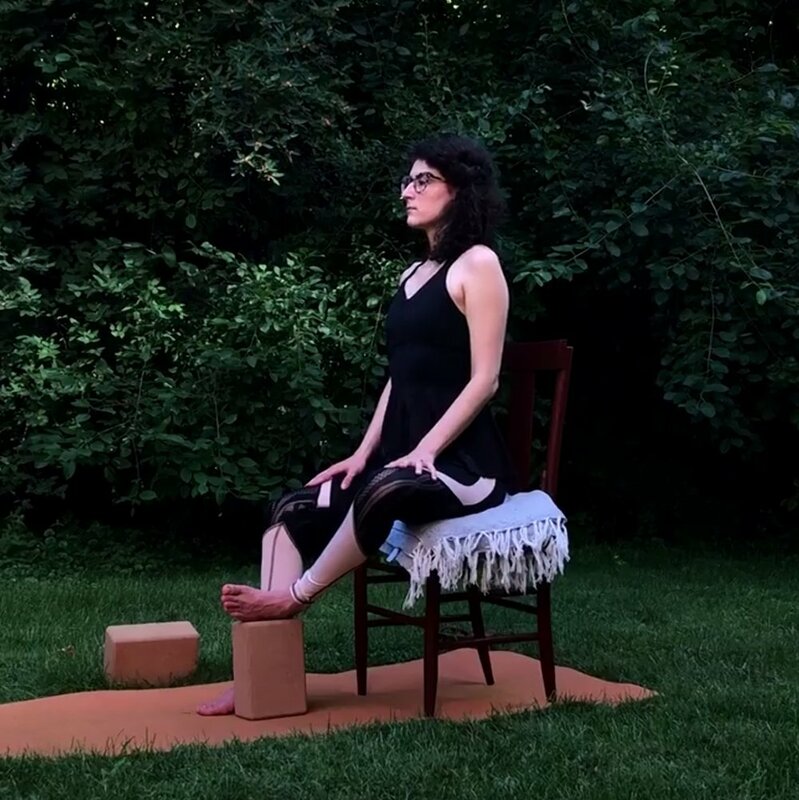 To come into this variation, stand in front of your chair and grip the edges of the seat of the chair. 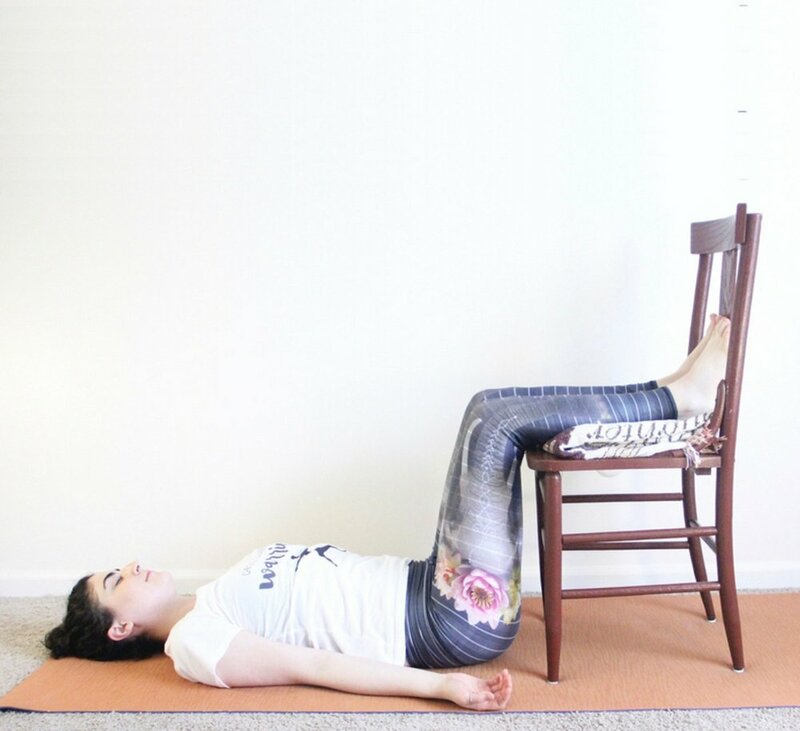 Lift the left leg and place the bent knee on the seat of the chair with the left foot flexed. The right leg is straight and you're up on the toes as if you are in a lunge position. Keep the hips squared. Stack your arms on the back of the chair and let your forehead rest on top of your forearms. Take ten deep breaths, then practice on the opposite side. All of these hip openers offer a similar stretch in the outer hip, but eliminate the hip flexor stretch.